Traction – The overall traction has been very solid. From a visual perspective you would already assume that the traction would be more than capable of keeping up with your movements from a front to back standpoint. What is clear after you begin to trust the surface is that your jab steps, jump stops along with your crosses, quick cuts and abrupt stops are great as well. 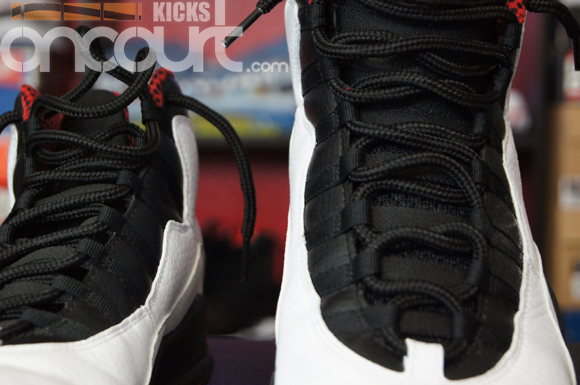 No matter the court condition, the Air Jordan X can keep up with the best of them. Cushion – We finally have something a bit more ‘modern’ with the Phylon midsole but even then its not as soft as some of the newer renditions of the foam nor is it as responsive as the newer foams that have been introduced to us over the last few years. However, the cushion is more than capable and 100% ready to take care of you during games. While you wont receive that step-in comfort you may find in something with an Ortholite insole – an easy fix if you wanted to swap insoles – but the full length Air unit along with the Phylon midsole do their job and they do it very well. 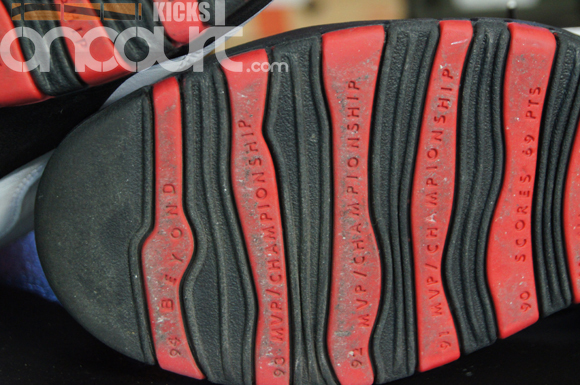 Heel to toe transition is extremely smooth and you don’t feel high off the ground so court feel isn’t compromised. Material – I personally love everything about the materials… it brings me back to when you got what you paid for. I’m not saying that you are getting ripped off today by purchasing synthetic based sneakers – since they will last longer – but there is just something about wearing a handcrafted sneaker made with organic materials that makes you feel as if you just laced up a luxury item onto your feet. 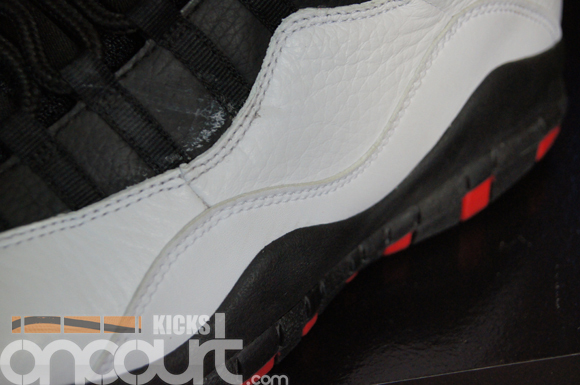 Fit – The fit is fantastic and one of the highlights of the Air Jordan X. When you have leather based shoes, you typically have a break-in period to adjust to. That wasn’t really the case as the break-in time for these are easy and painless. I was expecting for the overall shoe to lose its shape after some time – a typical issue with leather sneakers – but that never happened. Those bungee bands place down the tongue keeps the fit snug and secure from beginning to end… a really nice feature and its also something I really enjoyed on the Air Penny III. Ventilation – The tongue is mesh but other than that there really isn’t any ventilation. This will bring their overall score down but that should only really effect your decision to wear these on-court if that particular attribute is a high priority for your needs. Support – The support is minimal but fairly effective. 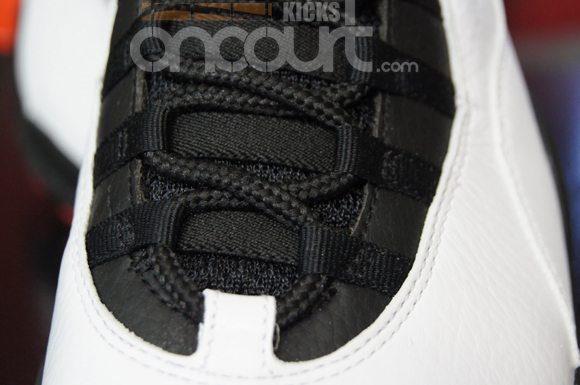 While the leather overlays didn’t provide much of any support, the midsole did which made up for it. There is a molded arch which is nice for arch support but this is the first time within the Air Jordan Project where I felt my arch over flexing. It didn’t happen often and when it happened it was only with my right foot but it does make you appreciate the shank plate no matter what material its made of. 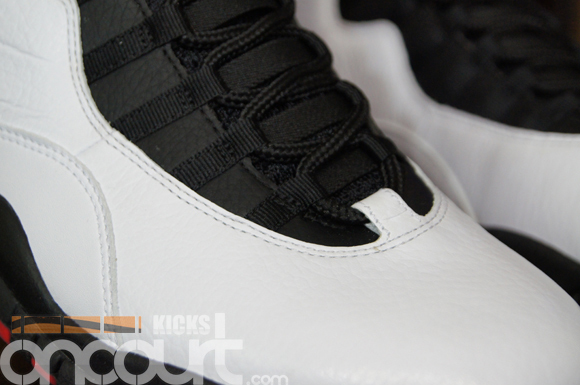 Overall – The Air Jordan X is a great on-court option. Its no surprise why you still see them on basketball courts today… they are just that good of a shoe. They have almost everything a hooper would need. Despite claims from consumers claiming the ‘quality’ is lacking, the Air Jordan X Retro has been one of the best releases this year in terms of materials and craftsmanship. For the few who may have bought a pair to wear with their Nike Elite socks on-court and not on the sidewalk… they’re on-court ready fresh out the box. Nice to hear this still rock on court. Most surprising thing is the traction as you say works almost perfectly. Makes me wonder why more shoe have this type of flat traction I mean it works right? i know its late but flat traction works th same way as tyres. Thats why racing slicks( tires with no tread) have so much more grip than a standard tire. the larger the contact surface, the more grip. Great review! Also, nice touch linking the teasers and first impression. I didn’t catch that the first time you did it lol. It makes searching through your site a whole lot easier. Stuck here. I am a 5′ 6″ PF for my school bball team. should i get the air jordan 2012 w/ fly around ($110) the adi rose 2.5 ($110) or something else? (with a $120 budget @ Foot Locker) BTW keep up the great vids love the new style! Another great review, this project is really something to look forward to. Keep it up! I have wide feet and the fit is awful. Size 9 is too long and 8.5 is too tight on the width but length is fine if i wear thick socks. Traction was mediocre and ventilation didnt exist. Both of my feet were squeezed so tightly it was painful playing in them. This was only my first wear so im hoping they’ll break in soon because i was really anticipating trying them on. 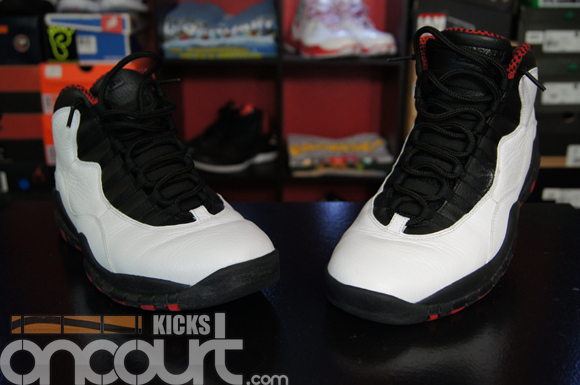 Then again i got stealth 10s and not Chicagos (maybe theres a difference in fit). Only positive i noticed was durability. You cant make an assessment on a 90s shoe until you break them in properly… any shoe for that matter. I play 40+ hrs in most of the shoes I test since there are things that change over time with wear – sometimes good and sometimes bad. Dont know if you are playing indoor or outdoor but traction on these are very good. Same with the fit – raw materials need break in time and Ive mentioned that numerous times so i wouldnt worry too much. Weird that I didn’t see this until a year later haha. I wore the stealths for a good 3 weeks, indoor only, and they still sucked for me personally. My feet would sweat like crazy and the whole shoe was so stuff but I think it was the material. I got Chicago 10s in March and the fit is incredible, almost as if it moulded to the shape of my foot. Got them in 8.5. I can wear elite socks or regular Nike socks and they fit amazing, traction is amazing, zero complaints. 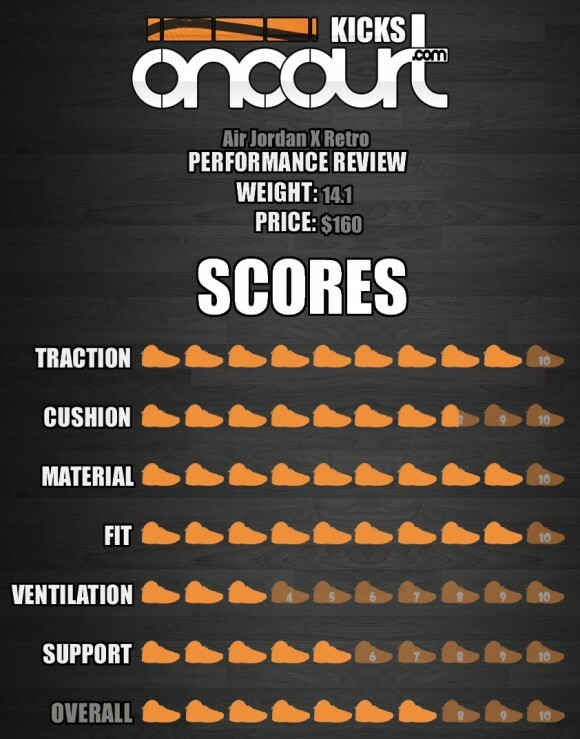 These Jordan reviews are great! 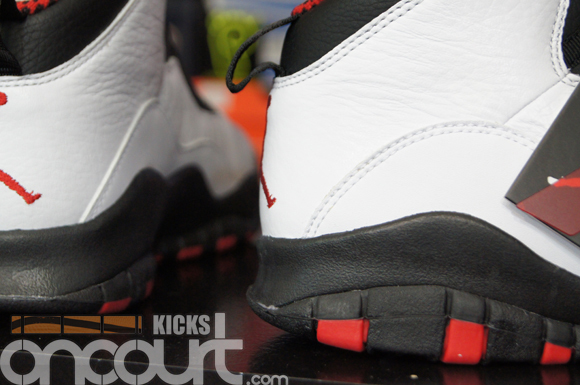 I wanted to buy a retro Jordan to play indoors and after watching your reviews I think I’ll get the 10s. Looks like im gonna get these you think they can fit a slightly wide foot? What do you think guys? Chicago’s or the liberty’s? Places near me still have those in stock or maybe the 20’s i dunno can anybody help? Are the 20’s worth retail? Appreciate anybody who can help thanks. I’ve been playing for nearly a decade in “performance shoes” ’til I discovered retro Jordans. After playing for almost three years using them I firmly believe that Jordans X to XII represent the peak of basketball shoes’ performance in terms of quality,grip, durability and fit. Cushioning is not worse than most of the performance models from Adidas, UA or Nike itself, it’s just different. Jordans X it’s the only shoe I’d play in.